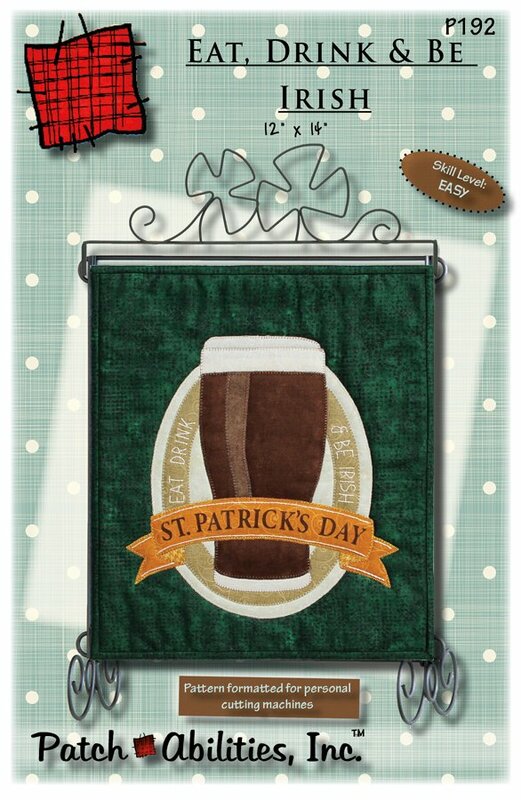 Crank up the Craic with this pattern to create a quilted applique wall hanging featuring a pint of Ireland's iconic Guinness beer with a rich, creamy froth set against a deep rich Irish green background. You will suddenly gain lots of new friends when they find out you can make a mini quilt with Guinness beer on it. Finished size is 12in x 14in. Raise some serious Craic by creating several and putting them together into a quilt featuring the iconic black beer. Pattern features: beginner friendly directions, frustration-free tracing templates for fusible applique, and even includes beginner tips and binding instructions. Great beginner project to learn to machine applique with large simplified applique shapes. Just a little bit of embroidery and this can be completed in just 1 day.